The Ink Trap: January Peeks at Kraftin' Kimmie Stamps: Day Two! January Peeks at Kraftin' Kimmie Stamps: Day Two! Welcome back to day TWO of our JANUARY Kraftin' Kimmie Peeks!!! Today we are excited to share ANOTHER supah cute new set by artist Cheryl Alger...FAIRYTALES!!! 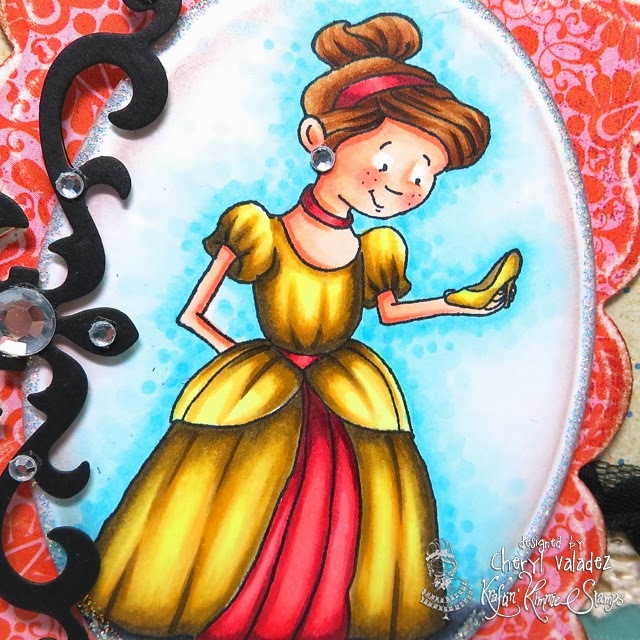 We are sharing samples today featuring.......ONCE UPON A TIME 4! Then come on back tomorrow to check out MORE fun new stamps we have to share with you! And ALL the new JANUARY stamps will be available on Saturday night at the KKStamps Shop!! Great job. Love the colors on the dress! Awww...Perfect match for the color combo! sooo very Gorgeous!! Love this new set too!! Beautiful card! I love your coloring and papers. Love the coloring on her dress! Love this card and image. The colours are so nice and the black makes it pop.